In the past few weeks since returning home from Guatemala I have thought back on my experiences and wondered how I can adequately describe the sights, sounds, smells, and most of all the spirit of the people in that great country. In truth, words are inadequate. I can understand a bit how Moroni felt when he was writing; I feel an inability to express in words what I am feeling inside and a frustration with my own “weakness in writing” (Ether 12:23). But, since this is, in a sense, a part of my record to my children, I will try my best. 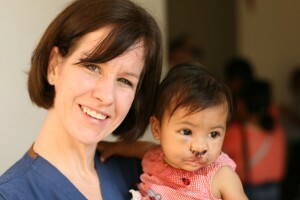 I am hoping that the pictures will help show the love and gratitude I have for the people of Guatemala. Going there over the past twelve years has changed my perspective on life. It has changed the way that I look at the world around me. It has changed me. I love the Guatemalan people for their strength, for their courage, for their generosity, but mostly I love them for their humility and their joy in so little. Many live in such very simple circumstances. According to World Bank, approximately 75 percent of the population is estimated to live below the poverty line, which is defined as an income that is insufficient to purchase a basic basket of goods and services. Each and every time I travel through that country I am reminded of how much I have. As I visit with the people I am often struck by how different my life is from theirs. My struggles are as foreign to them as theirs are to me. And yet, each time I am reminded of this simple truth: we have a Father in Heaven who loves us all equally. We are all here for the same purpose and we all must learn to be faithful, to have hope, and humility, and to learn charity (Alma 7). Interestingly, we are able to learn these things through very different life experiences. Each trip we get on a bus and drive through the country to our destination city. Every year I am reminded again of the circumstances in which many of the people live. I am reminded of the poverty of so many. As we drive we see children playing in the dirt next to busy roadways while their mothers make tortillas or sell goods at little stands. It is so unlike the world as I know it. In the United States we are consumed with having everything we want instantly. We get caught up in facebook, pinterest, email, and texting. Many of the patients I see don’t even own a refrigerator, let alone a personal computer. We get upset if we have to wait 20 or 30 minutes past a scheduled appointment time at a doctors office. 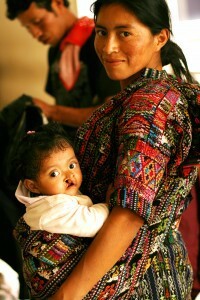 In Guatemala they arrive early in the morning and wait patiently for hours to see a doctor. At home I feel frustrated by my lack of closet space. I spoke to a woman a few weeks ago who only had one change of clothes. Very simply, they make do with less. Sometimes when I talk to the people and they tell me their story, I fight back the tears. Other times the tears come before I can stop them. And sometimes we cry together. Marcario had some of the most loving and attentive parents I have ever met. 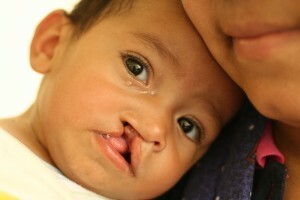 He hardly ever cried post op despite having a painful cleft palate repair. 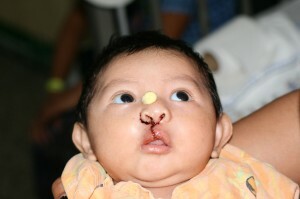 Nadia before and after surgery ( a little bloody and swollen). 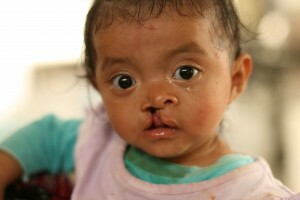 She traveled many hours for surgery (Walking 8 hours, a bus for 4 hours to Guatemala City, then an additional 4 hour bus ride with us to get to Retalhuleu. This is Elisabeth. Her mother is 22 and single. 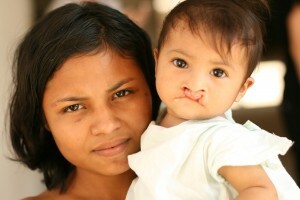 When I asked her where the father was, she replied, “he lives with his other family.” When she was born the doctors would not let her mother see her for several hours because they were sure that she would not want to keep the baby once she saw her cleft lip. “She is my child, I love her no matter what she looks like.” her mother told me. William was born last night at the hospital. One of the nurses signaled to me to come take a look at him right after he was born. 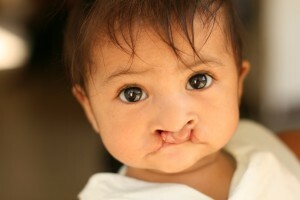 He was born with a cleft lip, cleft palate, extra digits on his hands, his toes were not separated, among other problems. When I left the room, the mother was lying on a stretcher in the hallway by herself. I took her hand and told her she had a beautiful baby. When I walked by a few minutes later, the doctor was relating her sons problems to her, I was so thankful I had not said more. 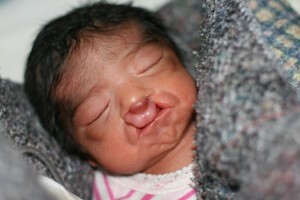 The following morning I went looking for her and found her in a room full of women nursing their newborn babies. She was the only woman without a baby with her. I wanted to get her information so that we could keep in touch with her and hopefully help her the next time we are in the country. 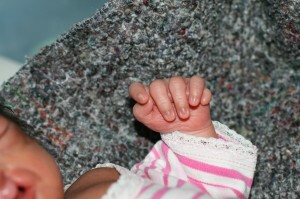 I also wanted to let her know we were able to remove the extra digits on the baby’s hands (they had no bone so we were able to tie them off so they would eventually fall off in a few weeks). When I visited with her she told me she this was her third child; she had a 2 year-old and a one year-old at home. She also told me she had not even seen her baby yet. I went to the area where they were keeping the baby and took pictures so she could see him. I taught her how to tape his ears so they would form properly and also taught her how to tape his lip to help minimize how wide the cleft would grow. I hugged her and prayed we would be able to help her next year. I have thought of her often the past few weeks and wondered how she is doing at home with her three young children. This young man is 15 years old. I suspect that my 5 year old weighs more than he does. 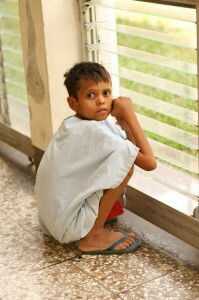 He had been in the hospital for a month, he has tuberculosis and severe malnutrition. His little brother was in the pediatric ward suffering from the same illnesses. They would not let him go to the pediatric ward because he was too old. He would wait by this window for his mother to come sit in the courtyard and visit him for a few minutes each day and then return to a ward full of grown men. This baby, Jostin, was being cared for by his grandmother. His mother was 15 and off “playing.” At one point we planned to cancel his surgery because of a slight upper respiratory infection. 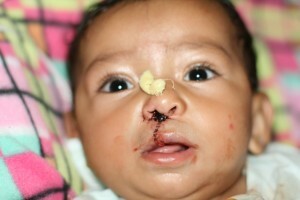 The grandmother was determined that he have the surgery and asked us to reconsider. Finally, we started him on antibiotics and moved him to a time later in the week for surgery. When we handed her the baby after surgery she sobbed. A friend later told us she was using all of her resources to care for the baby, even going without food to be sure he had what he needed first. 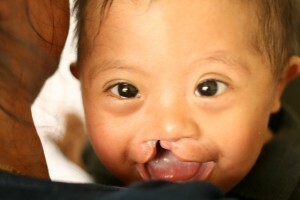 Manuel had to be one of the happiest, most fun-loving patients we cared for. He literally skipped out of the hospital. This was a seventeen year old mother with her one year old son. 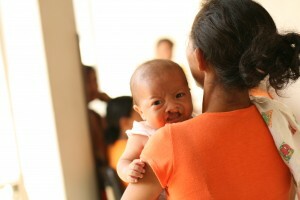 They had been at the hospital for over a month as they were both suffering from malnutrition. She told me they lived on the streets and she tried her best to care for her baby, but had no family or financial support. 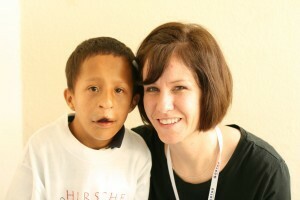 One of the most inspiring patients for me was Walter, a handsome twelve year old boy. 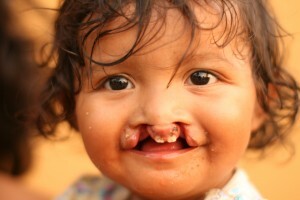 Walter had to drop out of school in second grade because he had a cleft palate and no one, including his parents, could understand him when he talked. 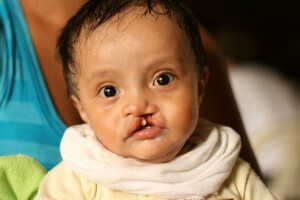 We fixed Walter’s cleft palate on Wednesday in the late afternoon. 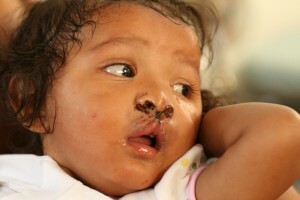 On Thursday morning when we went back to the hospital, his parents, with tears in their eyes, thanked us. They could finally understand their son when he spoke to them. Walter has plans to start third grade next year. Just this morning Anna asked me if she could have a “play date” after school. Then she said, “but Mom, I don’t want it to be at our house because it is not as nice as some of my friends houses.” I was surprised, but I was also thankful for the opportunity to teach an important principle. I shared with Anna some of my experiences in Guatemala. We talked about the things that matter most in our lives. We discussed how our home is not fancy, but it is clean, and comfortable, and it meets our needs. We talked about the importance of making do with less. I worried a bit that I had burdened her with too much information and my point would not be clear. When she invited a friend to our home this afternoon, however, I knew she was listening.